Recognizable for her wide smile and cheerful personality, Amanda Stretton played a key role in bringing Panasonic Jaguar Racing to the fans, a hard work that paid off with the team winning an award for best Social Media. She caught up with our editor Andrea Perilli during the Monaco ePrix, to discuss Formula E and the world of motorsports from a female driver’s point of view. Julius Caesar once used the term “veni, vidi, vici”, to talk about his achievements. This Latin expression, which means “I came, I saw, I conquered”, could be used to describe Panasonic Jaguar Racing’s first ever season in Formula E.
Despite not finishing the season on a high position in the Teams’ Standings, the team did conquer the hearts of many fans, who were eager to see the big cat in the fully-electric series. Step by step, the points finishes started arriving for the British team, and combined with their performances on track, was their success in social media. It is not a surprise that their excellent fan interaction and the behind the scenes material brought exclusively for fans, earned the team an award for Best Team in Social Media at the end of the season gala. The fantastic job done by PRs and media people within the team is a living proof of this success. And Amanda Stretton is part of that. Under the Monaco sun, I caught up with Amanda to talk about all things racing. With her characteristic wide smile and affable personality, the Brit started by describing her job within Panasonic Jaguar Racing. “I am the presenter, so I host all of the social media output that we create and I also look after the VIP guests… So, I think I have the best job in the team, really; because I’m a huge enthusiastic racer and motorsports fan, but I’m also really passionate about the technology”. A racer herself, she has raced in prestigious races like the 24 Hours of Le Mans and has driven in hard-fought categories like GT racing. Besides racing, Amanda works as a presenter, bringing racing to the people in a unique way. Describing herself as somebody keen on technology and innovation, she immediately answered how she landed on her job at the British Formula E team. “When Panasonic Jaguar Racing decided they were going to enter Formula E, looking ahead at the new product and the new electric products that were coming into the market, it was the perfect fit!”. As we continue talking in the pitlane of the worldwide famous Circuit de Monaco, our conversation takes a turn and we start discussing about the series itself. Panasonic Jaguar Racing is not her first involvement with the series; what is more, she has been very aware of the existence of the FIA Formula E championship since day one. 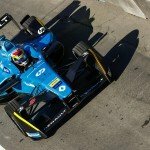 “When Formula E first was announced, I was actually doing a little bit of work with Formula E’s management on how to create the championship, just some ideas”. 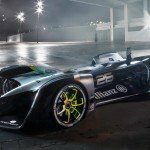 “In racing, you see specific items transferred from racing into road cars, you see the technology being transferred, and this is how road cars are made; so the fact that Formula E was actually creating this testbed for these electric race cars, means this is what we are going to see in our cars in the future, so I was very excited about it and very much trying to get involved from the beginning”. From Adam Carroll cooking in different cities around the world, to both Carroll and Mitch Evans doing a penalty shoot-out in one of Argentina’s most prestigious stadiums, Amanda has cover all of the team’s PR activities, where the outfit did gain more and more devoted fans. But has she hop on the car and drove some laps? “I haven’t done so, I’d love to! I need to drop some hints that we need to do something with me in the car [laughs]. The thing with this, is that it’s [the Formula E car] so much more complicated than driving any other race car, I mean, I race and I was racing last weekend, but I’m driving a regular combustion-engine car. These cars, as we know, are so complicated, so not sure I’d such a good job”. Being part of a generation with no many female racers, she is one of the leader female racers to encourage the younger generations to make the change many people want to see within the racing world. Her strong and clear speech, are proof of her long way to be where she is now. “Anything from that there was nowhere for me to get changed, you know, there would be beautiful men’s changing rooms, and I would have to go into a toilet; so from things like that, you know, practical points, I was definitely sized up by my competition, because they didn’t know how I was going to react. So, in the heat of battle, when cars are sort of going through a corner, they didn’t know how I was going to act. I was definitely so tested out”, she comments about her beginnings as a racing driver. “But now, we are moving into a new environment where there are so many more girls doing it. I genuinely don’t believe motorsports is not for female drivers, I do believe it’s open. The difficulty comes when you start to come to the top end, because it’s just a case of numbers”. “So nowadays, it’s so much easier for girls to get involved. But when you start to get to the roots of motorsports, you would have a thousand young boys starting karting and maybe two or three, four or five girls… You just haven’t got the numbers coming through, so when it comes to the top end, you still haven’t go that breath of talent, which is why I think these new initiatives that are coming to encourage girls -not just into racing, but also in engineering and into other aspects of the running of a car; these are very valuable tools, and the more girls we see in the pitlane, doing vital jobs, the better!”. Formula E is no stranger to women occupying important roles. From PRs to engineers, women work hard to get the cars running; which is another clear point why the series is innovative in many aspects. As Formula E keeps driving towards equality between men and women in racing, will this happen in other categories, as well? Amanda is a strong believer in this matter, and listening to her speaking about it is really encouraging for all girls who are trying to make a start on their careers. “If a woman had the budget and the backing to race in Formula 1, if she had big experience, and she was good enough, then she would definitely do it. I mean, it would be a dream. I think the problem is, and this is across all sports, not just motorsports, generally women in sports don’t have as much investment, as men in sports. So I think that’s perhaps where the challenge might be for women coming to the very top end, because it really is much harder to get those really high numbers of sponsorship and backing. “Having said that, there are so many brands out there who would love to have a female in Formula 1. Genetically, there’s no reason why it can’t happen; I believe it’s all about the numbers. I think it would happen and I think it would be equal”. 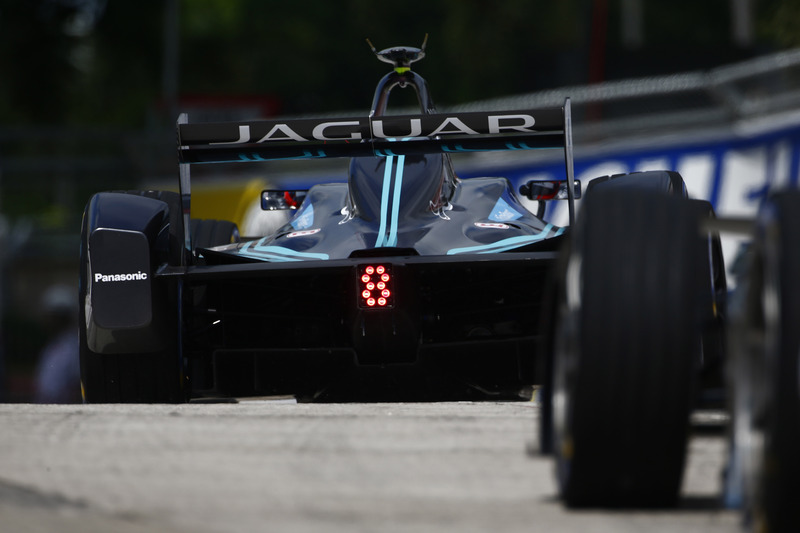 And as Formula E is preparing to start its fourth season, Panasonic Jaguar Racing will face their second season, ready to keep showcasing electrifying performances and making new fans, to keep conquering the passion of tons of racing junkies, as Amanda and the whole team have already been doing.